This is not a “spin” class. This is cycling training designed to produce fitness and performance gains. Our Power Program uses a scientific approach to assist athletes with their training goals. Participants can enjoy a tailor-made training program based on their individual fitness profile. Using your own bike and an instrument for measuring power, exercise intensity is precisely prescribed whether you are triathlete training for an Ironman or a novice rider wanting to stay in shape. Our program includes 4 big phases of training throughout the year, with smaller blocks making up each phase. Throughout the year, we hold classes two or three times a week. During each class, an instructor guides the participants through a training program, the “class,” based on 5 power ranges. Each participant will train on their personal bike, which is mounted on a Wahoo KICKR or Computrainer, and refer to their individual power zone recommendations retrieved from their individual fitness profile. Track - Road - Triathlon - Trail - Mountain - Cross - Etc. Crit, Fondo, Sprint, Olympic, Ironman, Etc. Climb, sprint and pass with confidence. Push steadily from start to finish. Produce speed under stress and fatigue. Recycle lactate faster and more efficiently. As you train, you will see growth and improvements in your ability to create power (measured as watts) and to sustain that level of work for longer periods of time (often referred to as ‘FTP,’ the maximum power you can sustain steadily for an hour). Baseline and periodic assessments will indicate how your fitness is changing over time. You will learn about measures commonly used to assess one’s fitness, such as FTP (Functional Threshold of Power), LT1 (Lactate Threshold 1) and LT2 (Lactate Threshold 2), and the 5 power zones, around which our class intervals are structured. Dr. Massimo “Max” Testa has worked with professional cycling teams since 1986, including 7-Eleven, Motorola, MG TechnoGym and Mapei. He has supported teams and been the team doctor for +30 grand tours. As a coach, he has personally worked with Cadel Evans, 2011 Tour de France winner and 2009 World champion; Greg Van Avermaet, 2016 Olympic gold medalist, 2015 Tour de France stage 13 victory 2015, 3rd place finisher Paris-Roubaix and Tour of Flanders; Levi Leipheimer, 2011 winner of the Tour of Switzerland, Tour of Utah and the USA Pro Cycling Challenge; Paolo Bettini, Italian 2004 Olympic gold medalist; among others. He resides in Park City and practices medicine with Intermountain Healthcare. Wesley “Wes” Johnson got into cycling and triathlon after a D1 college career swimming distance at the University of Utah. While an undergrad, he met Dr. Testa who took him under his wing and began mentoring Wes in the art and science of endurance coaching. Wes has been a full-time triathlon coach for 8 years and has coached several podium-level professional athletes, Paralympic medalists, nationally ranked junior elite athletes, and also several age groupers who have earned World Championship qualifications in IRONMAN, IRONMAN 70.3, Olympic, Sprint and other race formats. Additionally, Wes’ summer camps for youth have introduced hundreds of young people to endurance sports. Wes started Balanced Art Multisport, building a coaching business that has changed countless lives for all levels of the sport from beginner to professional. After the opening 2 months of the winter season’s Base Phase, the Build phase includes workouts designed to dramatically ramp up your bike fitness in preparation for event season. This phase is similar in structure to the Base phase, with increasingly longer classes on weekends. 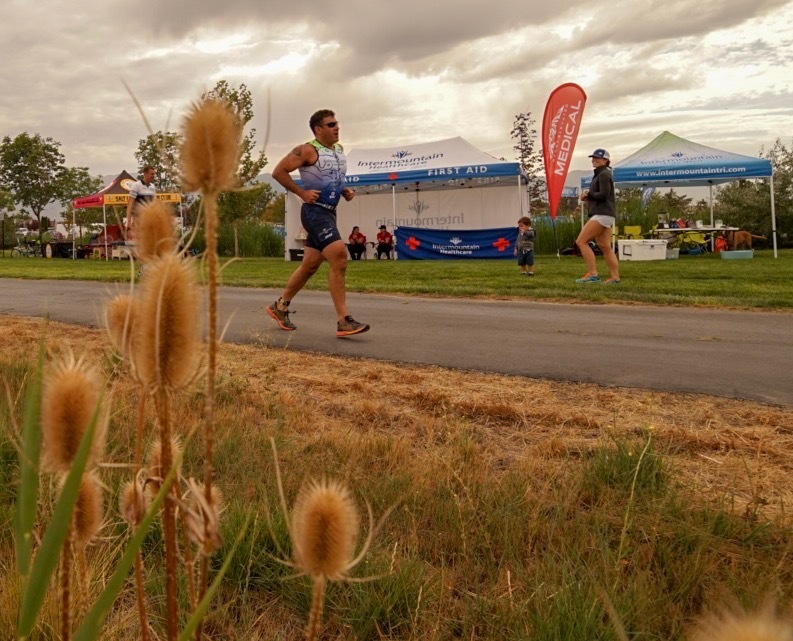 As our athletes count down to race day or compete in early-season events, classes focus on event- and race-specific efforts to tune up and dial in for the big day. Additionally, warmer weather means riding outside, so class structures shift to support the transition to outdoor riding. Riding outside is important because that’s where events and races happen, and nothing replaces training in race-day conditions. However, we don’t recommend cutting indoor sessions completely once the sun comes out. There is still a critical place in the summer/event/racing season for time on the trainer. Without the distractions and interruptions of riding on the road (e.g. traffic, lights, road conditions, changing terrain), it’s much easier to get in quality intervals. For that reason, the Power Program includes this phase with classes all summer so you can maintain the power edge you worked so hard all winter to obtain. This phase of about 22 weeks is the is the most flexible, and your exact arcs of race-prep, race week and recovery can be fluid within it. As each person’s event schedule varies, instructors offer suggestions on how you can adapt classes for whether you are approaching or coming down from an event. Especially during this phase, be sure to ask questions during live sessions to get what you need. And if you are viewing recorded sessions, feel free to contact us for guidance on adjusting your FTP and zones around your events. Attend classes in-person and enjoy on-site shower, lockers, 3 bathrooms, treadmills (including a state-of-the-art Woodway), strength equipment and the camaraderie of the BAMFAM. Also available at BAM HQ (Inquire for pricing): bike storage, personal strength training, AlterG (an “adjustable gravity” treadmill ideal for coming back from injury), bike service & sales from The Bike Shed, bike fits from Precision Bike Fit. 90+ minute training sessions on the bike. Various days and times. The schedule for each month will be released around the beginning of the month prior. Friendly and experienced instructors, credentialed from many governing bodies of sport. Each has experience working with a variety of athletes by age, background, event-format interest and level of competition. Stay sharp, reach your goals and achieve your best with year-round support. All BAM Power Program participants receive strength plans each week. These plans — written by our NSCA Certified Personal Trainer — complement work done on the bike, bolstering stability and helping to correct imbalances and weaknesses that may hold you back from your best or lead to injury down the road. We believe any cycling program worth its salt will include a strength regimen that complements time in the saddle. Attend live in the studio at BAM HQ in Sandy, UT. The schedule for each month is posted near the beginning of the month prior. Can’t make it to the studio? No problem. Join classes LIVE through our private video stream for Power Program participants. See the instructor, see the studio, see the workout — all from your desktop or mobile device — AND (optionally) interact live through the chat or your own web cam. Can’t make it to the studio or during a live broadcast? We’ve got you covered. Recorded classes are posted within a few hours and available for playback online inside the Power Program online portal. While our priority suggestion is for you to attend classes live, follow along with the instructor and benefit from the energy of a group, we understand this isn’t always possible. To make the most of your training on your own, you can (besides watching recorded sessions) download the workout in formats compatible with leading training services such as TrainerRoad and Zwift. Upon registering, you will get access to the BAM Power Program online portal. With your individual login and account, you may view upcoming classes, reserve KICKRs and Computrainers for live in-studio sessions, access virtual live streams, watch available recordings, view strength plans and request access to class files to use with programs like TrainerRoad and Zwift. The online portal works with desktops, tablets and mobile devices, and can be accessed through an iOS app. Is this really for everyone? Come join us! All are welcome. All have benefitted — beginners to pros. Monthly and annual plans available. 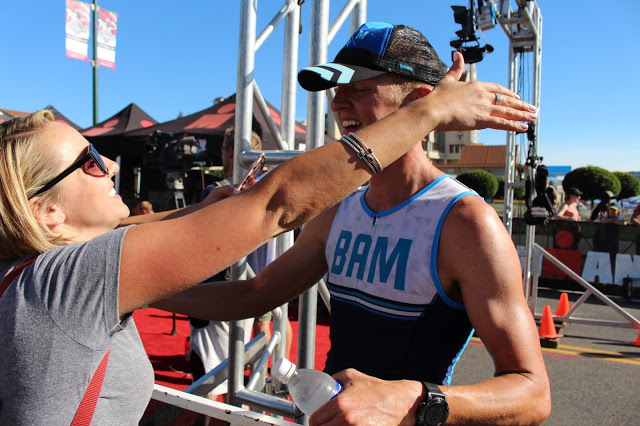 Premium pricing available for BAM coaching clients and members of Intermountain Tri and BAM Endurance, with further discounts for couples. 2. Get on the schedule. Near the beginning of the month, we post the schedule for the following month’s worth of classes. Studio space is limited and offered on a FCFS basis, and you’ll RSVP for classes per the schedule posted inside the Power Program online portal. Complimented with outdoor swims, outdoor rides and strength classes, included in your subscription, that run throughout the summer/race season. “I have enjoyed marked improvement in my cycling secondary to the organized and physiologically based indoor training program prescribed for me in the BAM Power Program. “I joined the Power Program as a beginner cyclist 4 years ago. Since joining, my strength and progress as an athlete have skyrocketed. My watts have improved every year significantly as well. "I did the Power Program as part of my first full year of consistent training. Right before Boulder 70.3, I decided to take a second lactate threshold test, and my levels had jumped by over 30%. I still have a long way to go to be considered a good cyclist, still probably another 30%. But honestly, next to my wife, my biggest cheerleaders have been the coaches at BAM." Monthly and annual plans include 2 live weekday classes, unlimited access to online content, and access to weekend classes as a bonus. Pay Annually and Save 20%!! BAM Endurance, IMLWT members and coaching clients only. Join BAM Endurance. Join IMLWT. Inquire about coaching. Review the upcoming weekday and weekend classes, then contact us to let us know when you want to come. We’ll get back to you to confirm there’s an available spot. The Wahoo KICKR is a smart trainer that provides an outdoor riding experience indoors. With the accompanying Wahoo app, you can adjust resistance from your phone. It’s an excellent choice* for participating in the BAM Power Program remotely. More product info. Rent - 6 months for $300. Purchase - Contact us for pricing. *Having a KICKR is NOT required to participate. All you need is a bike, any stationary trainer with resistance and an internet connection. We recommend the Wahoo KICKR as it is the latest and greatest, but—really—you can use any stationary trainer. If your trainer resistance is controlled manually by you getting off the bike to turn a dial, then you’ll need a HRM or power meter to guide you through shifting gears to get you into the right zone. Click the button below to review program terms and select your desired subscription. To activate preferred rates: ask your coach for an activation code or look inside your club member benefits area. You will apply the code on the final checkout page.